Audi has launched some images with the upcoming TT crossover concept that is supposed to be unveiled at the 2014 Beijing Auto Show on April 20. The new TT crossover concept is said to bear the name 2016 Audi TT, with the crossover coming in a four-door body and with four seats which are individually displayed. As for the new Audi`s features inside or under the hood, there are no details yet revealed, but the German based auto maker has declared that the crossover will be offered with some additional variants. Apart from that, it is also believed that the 2016 Audi TT model will sport an MQB platform, which is the platform that the Volkswagen Groups is also using on their own cars. 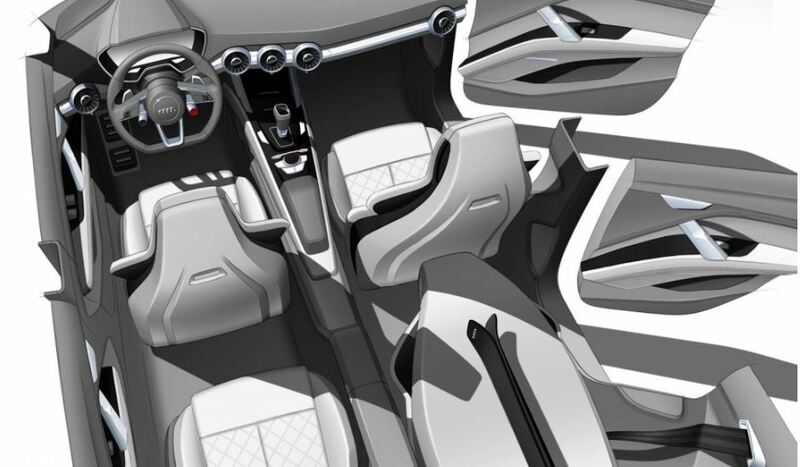 Other rumors concern some inside tweaks like the concept`s individual seats being enhanced with a folding option for the rear pair. If the 2016 Audi TT will come into production, the crossover will be aimed to face the Range Rover Evoque and the 2014 BMW X4. The 2016 Audi TT will be thus included in the “TT family” along with its siblings like the present coupe and the roadster versions, but could also be labeled as a Q4 version, between the Q3 and the Q5 models.